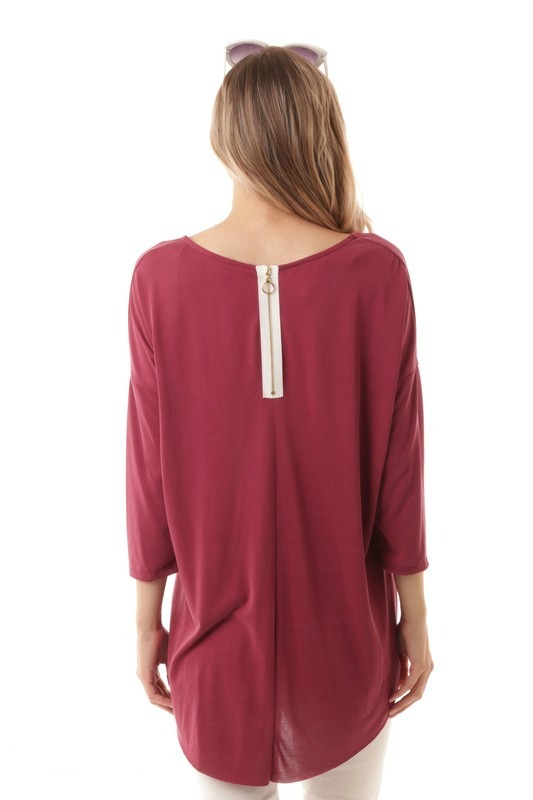 Stylish solid light burgundy top with zipper back accent. 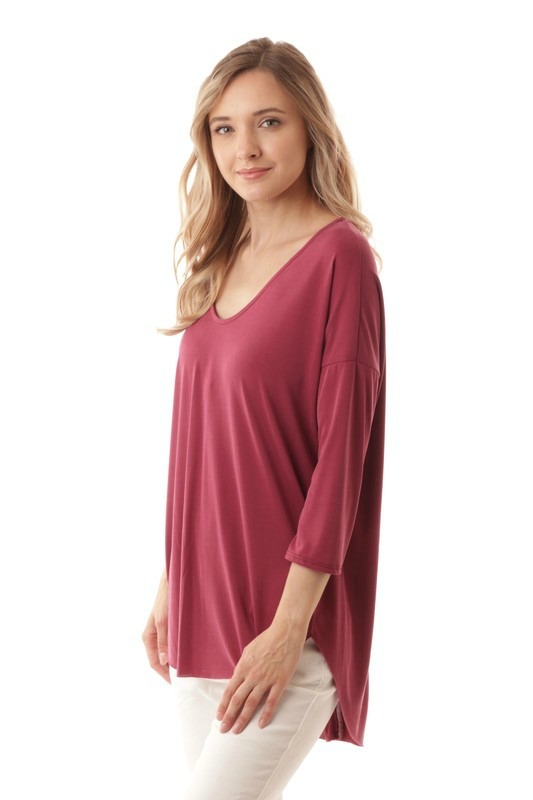 Hi-lo design, great for under kimonos and cardigans. **NOTE: Regular size comes with the same color zipper. It will be lt. burgundy, NOT off white. Fit: Flowy, true to size.